It was my great pleasure to interview Sharlyn Hidalgo, a certified practitioner and teacher of Alchemical Healing through Nicki Scully as well as an astrologer, tarot reader, therapist, teacher, healer, artist and author. She was my Alchemical Healing teacher and most notably taught me that the soul voice and fear-based ego voice can co-exist so one can accomplish the work they are meant to be doing no matter how far-flung it may seem. Sharlyn has written two books The Healing Power of Trees: Spiritual Journeys through the Celtic Tree Calendar and most recently Nazmy – Love is my Religion: Egypt, Travel, and a Quest for Peace. This story is about the spiritual mentor and spiritual consciousness-raiser, Mohamed Nazmy, who uses his travel business in Egypt to bring people of the east and west together in friendship through spiritual pilgrimage. 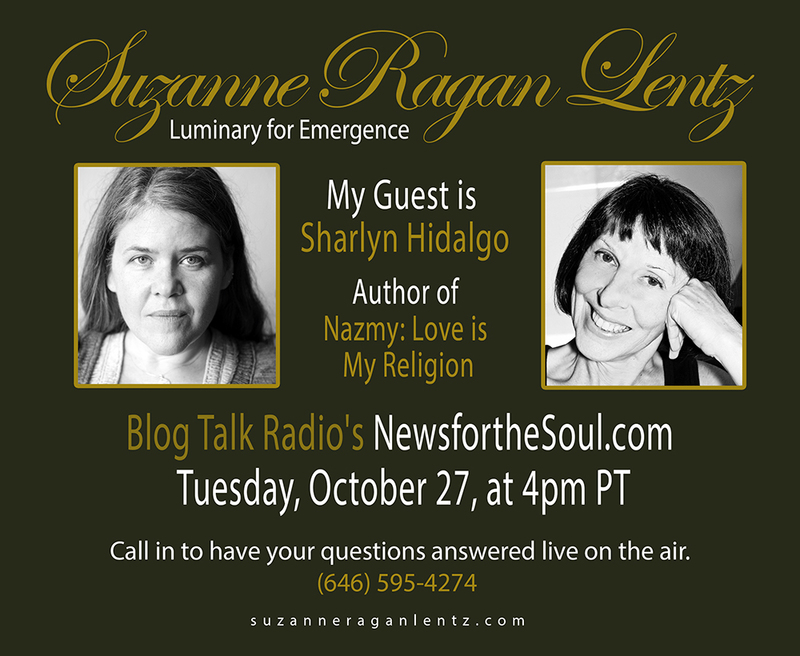 We spoke on October 27 on Blog Talk Radio’s News For the Soul. You can listen to a recording of this show here.